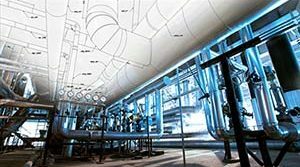 ASME Defines New Inspection Criteria for High Energy Piping | Piping Technology & Products, Inc. According to ASME B31.1 Chapter VII Par. 140 a program shall be established for the assessment and documentation of the condition of all CPS (Covered Piping Systems) in power plants. CPS Systems are defined in Chapter 1 Par 100.2, as systems on which condition assessments are to be conducted. This includes the following systems as a minimum. 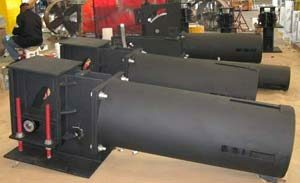 NPS 4 and larger main steam, hot reheat steam, cold reheat steam, and boiler feedwater piping. Other systems may be included as CPS by an Operating Company, based on their judgment. Appendix V of the code is titled ‘Recommended Practice for Operation, Maintenance, and Modification of Power Piping Systems’. This addendum is non-mandatory; however many Power Industry operating companies’ insurance carriers are now invoking Appendix V with increasing frequency, and this is affecting conditions of their agreements with the operating companies. Piping Technology and Products Inc. (PT&P) has for some time been performing surveys and assessments in accordance with part H of Par. 140, that requires hot and cold walk-down readings and assessment of pipe supports, operated within the creep regime of the pipe. These assessments are helpful in identifying, sagging lines, deformation of supports, and damage caused by upset conditions, and/or incidents, attributable to operational malfunctions, dynamic/thermal or hydraulic events. PT&P has been performing this service for many power generation companies. Preparation of documentation, retrieval and compilation of files for a CPS assessment, has just been completed for a major U.S power generation company. Ten large power plants were involved, and the original predominantly high-energy pipe support drawings, all engineered and designed by PT&P, were retrieved from PT&P archives dating back ten years. Please feel free to contact us at david.baker@pipingtech.com and we will be happy to answer any of your technical questions about our survey capabilities, as well as any other engineering or field services that your organization may need.